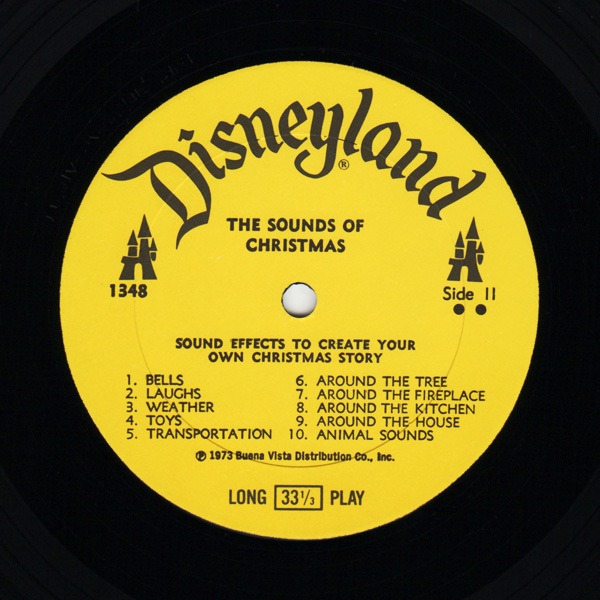 Record Comments: Side one contains story and songs narrated by Pete Renoudet. 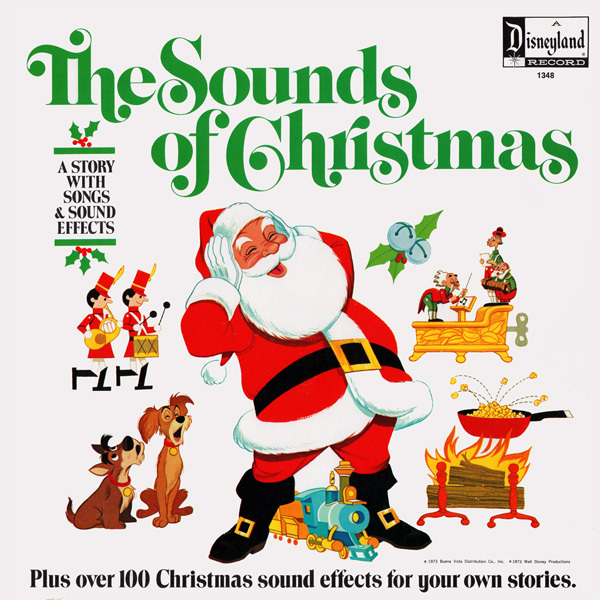 There are five songs within the narration that includes The Sounds Of Christmas, We Wish You A Merry Christmas, Home Sweet Home, Here He Comes, The Sounds Of Christmas (reprise.) 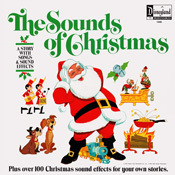 Side two includes over 100 Christmas sound effects divided into 10 tracks. 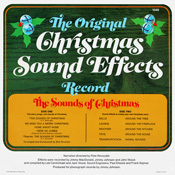 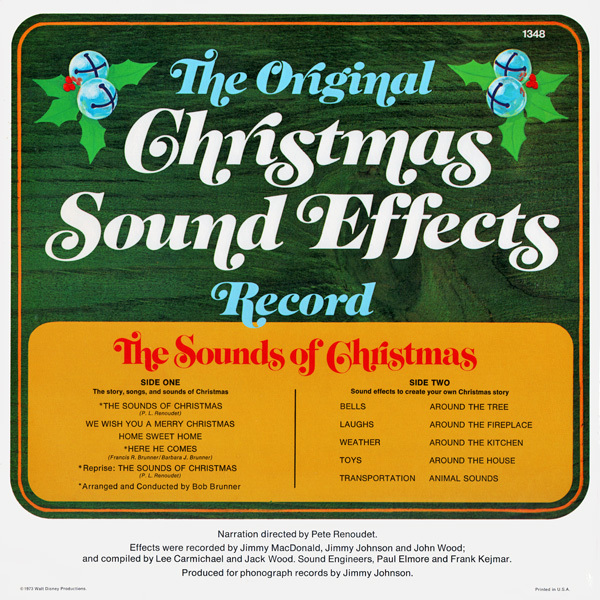 Subject Notes: "The Sounds Of Christmas" is a Christmas-themed record that includes holiday sound effects. 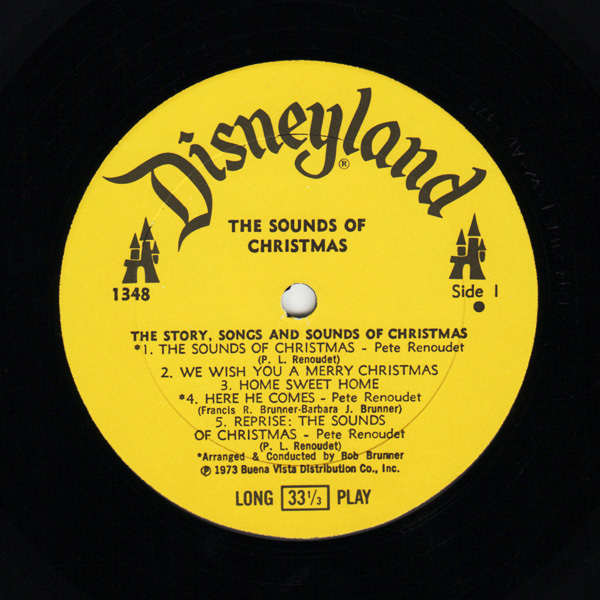 There is no Disney film production for this subject.